If you lose your text sms messages while switching from one mobile to another mobile or sometimes,you accidently delete your text sms messages,then the best way to keep your sms safe is to make a backup of them. 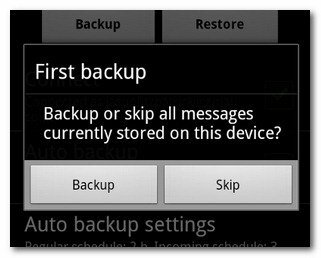 In this article,we will learn that how to backup text sms messages in android using gmail account.We will make gmail account sms vault.Making backup of your text sms messages is so easy that you should must backup all of all important messages. Login to your Gmail account and go to settings Forwarding and POP/IMAP. Check ENABLE IMAP.Now scroll down and click save changes.Now you are all done with the settings of your gmail account. 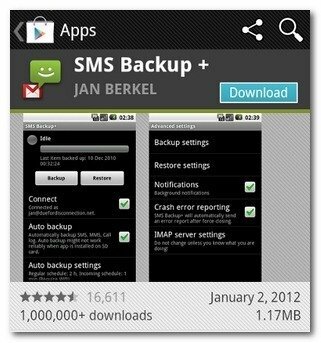 After completing gmail configuration,now its time to download and install sms backup android app. which can be downloaded here. Download and install sms backup.After installation,launch sms backup application.The first you will see will be following. 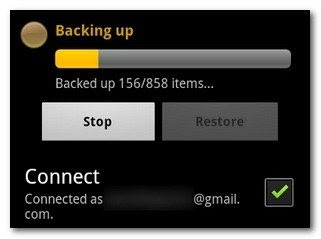 After installation,you will have to connect to your gmail account in order to backup text sms messages in android.Click on connect so that you will be promoted to gmail site.Login to gmail account and authorize sms backup in order to backup your android text sms messages. Click on grant access.You will be redirected to backup sms app. 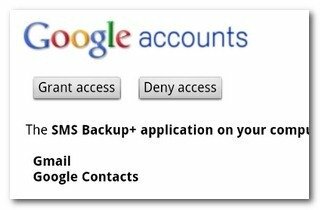 Click on Backup.The backup process will start and all of your text sms messages will be start uploading to your gmail account.The process will continue until all of your text sms messages will be uploaded to the gmail account. After finishing the backup process,now you can open your gmail account and there will be a seperate label in the sidebar named as SMS.Click on that seperate label. In this way,all of your text sms messages will be safe and will be uploaded to your gmail account.This is a simple and easy way to back up your text sms messages in android using gmail account.